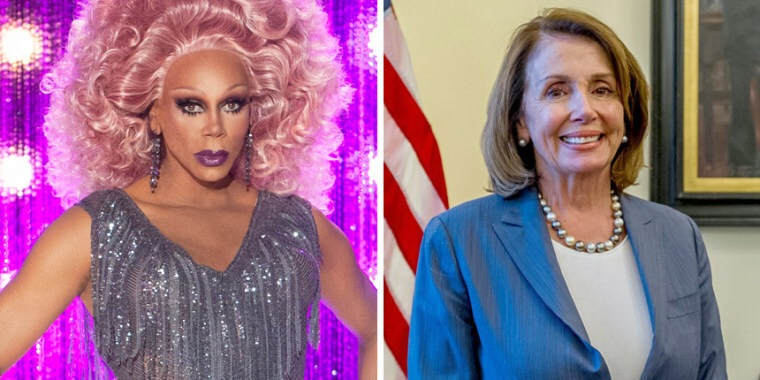 House Minority Leader Nancy Pelosi has confirmed she will be appearing as a guest judge in an upcoming episode of "RuPaul's Drag Race All Stars." "All Stars" brings together drag queens who competed in previous seasons of "RuPaul's Drag Race" and gives them another shot at the crown. The upcoming season of the hit VH1 show is stacked with superstar guest judges. Along with Pelosi, designer Marc Jacobs, actor Titus Burgess and Emma “Baby Spice” Bunton will be "reading" the contestants. Ashley Etienne, Pelosi's communication director, said the California Democrat had "a fabulous time" taping the episode. "She decided to go on the show because she's a fan, but is also a fan of the larger message of pride in who you are," Etienne told NBC News. Reaction on social media was swift and ranged from dumbfounded to "500% interested." One person even gave Pelosi her very own drag name. I am 500% interested in what Nancy Pelosi is going to bring to Drag Race. The third season of "RuPaul's Drag Race All Stars" is set to air on VH1 starting January 25..